Welcome to the eGullet Recipe Cook-Off! Click here for the Cook-Off index. As the first cool weather manifests itself, the quality of the ambient light changes. It stops us as we slog through the everyday world. The air we breathe takes on that crisp clarity that signals the end of Summer, and there is a mist at sunset. We find ourselves instinctively putting a pot on the fire. In France you would say it very simply: "Pot-au-feu." The simple concept of boiled meat and vegetables has probably been with us as long as people have cooked over a heat source. Each time a parent loads a crockpot with beef and vegetables before leaving for work in the morning, they are paying homage to the Pot-au-feu. The Pot-au-feu nets a wonderful meal and then generously provides a complex, but delicate, consommé (see our eGCI course, "Consomme") to be utilized for sauces and soups throughout the week. 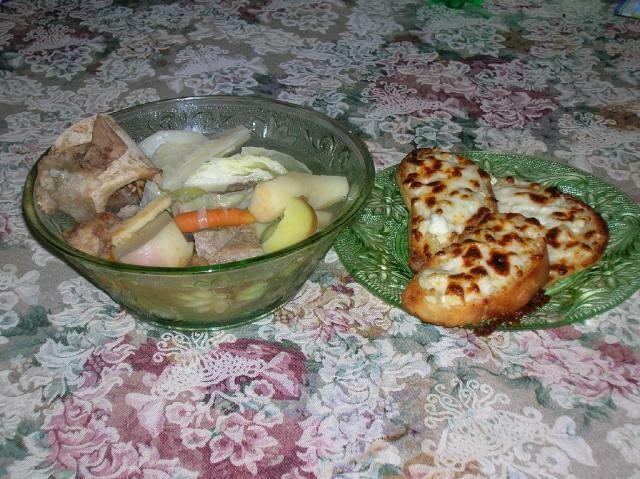 Enjoy the boiled meat and vegetables on their own -- a simple, straightforward, way of eating. 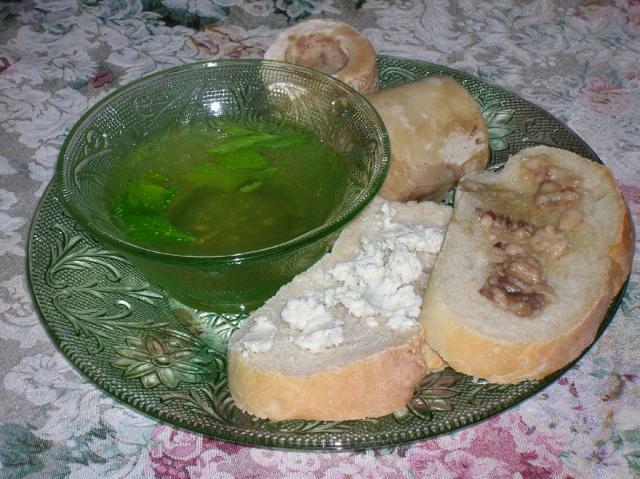 Then, have a toasted slice of rustic bread, spread with the marrow robbed from the bone, and a bowl of broth. The "Pot on the Fire" is apparent no matter what point on the compass you look. In a traditional restaurant in Spain, you will find a Cocido Madriliano. In Italy, you will perhaps run across a fine Bollito. In the United Kingdom, one signature dish is surely the Scotch Broth. Then, there's the very good, old fashioned Yankee Pot Roast. Wherever you find it, the results of a pot on the fire are invariably described as "good" and "solid." Recipes are plentiful and varied. Every French cookbook dating back to the 1800's includes a variation on the Pot-au-feu. 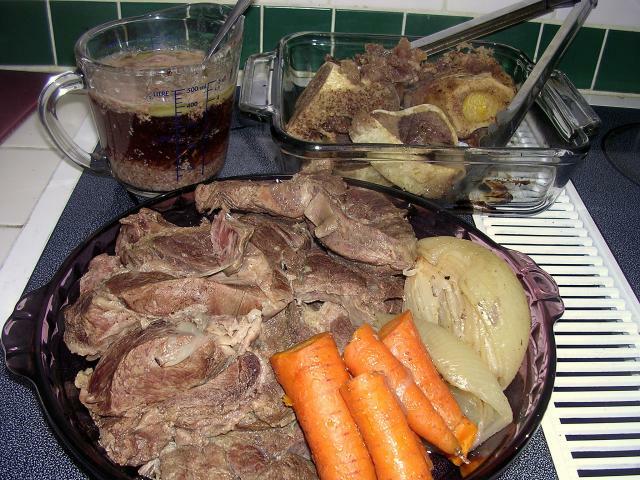 Molly Stevens features a great recipe in her book "All About Braising" that we explored here. Food writers from Escoffier to Julia Child to James Beard to Thomas Keller - all pay tribute to the Pot-au-feu. The ingredients are variable enough that you could probably find one that would be suitable for cleaning out nearly any fridge and freezer. So, let's pull out the stockpot or marmite, brush up on our braising skills in eGullet's eGCI Course and Lab on Braising and put it on the fire! Recipe loaded into RecipeGullet: Click here. In doing research for this Cookoff, I couldn't believe that I had never attempted one of these. I think I probably just looked at the recipes, said to myself "Aw, that's just pot roast." and went on my merry way thinking I wasn't missing a thing. Turns out, I was missing out on something really fantastic! And, oh, there are so many recipes out there. Some offal based, some poultry based, some that asked for a stewing hen to be thrown into the pot - you name it, and someone has tossed it into a pot with some veg! I guess that should make sense! I settled down, and finally decided to sort of follow a recipe by Tony Bourdain found in "Anthony Bourdain's Les Halles Cookbook" - but changed some ingredients to mirror what I had available in the fridge, and used some technique I picked up from reading other recipes that differs from Bourdain's. Veal shoulder steak (would have loved to have found a breast or a shank, but Publix let me down), beef shoulder roast, short ribs and some very nice marrow bones bundled up in damp cheesecloth. I would have used oxtails instead of marrow bones, but these looked so nice. Now here's a smart technique that Bourdain directs, and that was found lurking in several other recipes I read. 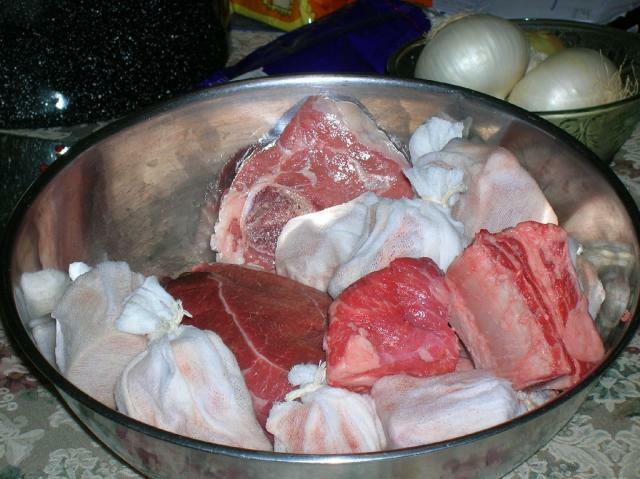 Blanch the meat, dump out the water, wash the pot, rinse the meat, then start over in the pot with fresh water. Here's my "Blanched Bowl 'O Cheap Meat"
Saved more skimming than you would believe! The southern cook in me pouted a bit, but Uncle Tony was right. Then dump them in. Simmer and skim for another couple of hours, gently pulling the veg as it tests done to the point of a knife. I set that aside in one bowl, simmered the meat along for another half hour or so, pulling it as it became tender. Then finally, strained the broth through a cheesecloth lined strainer. Not bad, when you consider that big bowl of meat. A little fat on top, a little sediment on the bottom, not bad either. That's Day One and Day Two. Tune in tomorrow for Day Three! You read my mind. I have short ribs braising as we speak. I bought them last weekend knowing that I would want to greet the cooler weather with something. I did brown mine, remove, then carmelize a big pile of onions and shallots. I returned the ribs, heated on high and deglazed with half a bottle of Zin. They now cook. Anne, what's the reason for the cheesecloth? I'm assuming it's to keep the marrow in the bone . . I'm up for this. I'll take a look at Monsieur Bordain's book. I'm thinking I want a recipe that includes a hen. Pot-au-feu newbie here, with a question: so is it a defining characteristic of classic pot-au-feu that the meat is not browned before immersing it in liquid? I've become so programmed with the browning-before-braising mantra that I'm having trouble deprogramming myself here. Same here with the browning, Miz Duck. Seems like a lost opportunity for flavoring. Another recommendation for those considering this cookoff: John Thorne's essay "Pot on the Fire" is a great read about pot-au-feu. 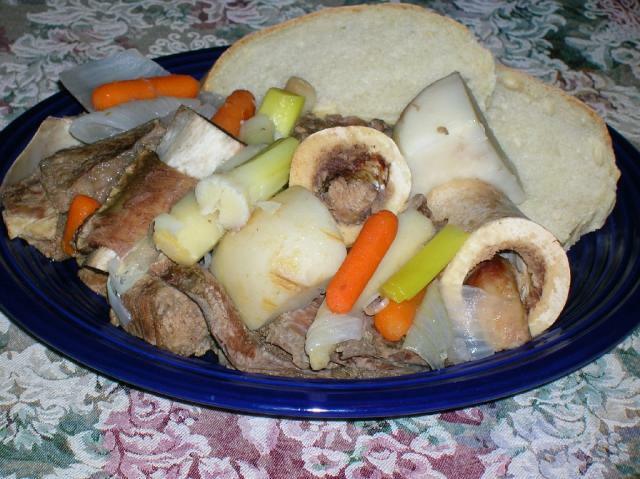 One more thing: Thorne considers a New England boiled dinner to be of similar origins to pot-au-feu. Can a "poule-au-pot" compete in this cook off? And what's the difference between Poule-au-Pot and Pot-au-Feu other than one uses chicken and one uses beef? It does a very good job of that. When you reheat you pick up the hot little package with tongs, snip off the top, and you have bone in marrow. Some of the recipes (and I am not even sure it came from Mr. Bourdain's book) when calling for oxtails say to wrap in cheesecloth as well. I am certain it helps to keep the broth clearer. This was my first ever in my life Pot-au-feu - so other's may have a better idea. Heh, I had to read at least a gazillion recipes before I got over that one! Then I had to climb the blanch and discard the water mountain! It works. The resultant broth is so clear, but resonates with so much flavor. If you think really hard when you taste, you can pick out every single flavor component. I could taste the veal behind the beef, I could taste the carrot separately from the turnip and parsnip. I could pick out the clove, the thyme, and the bay. It's an amazing taste from such a clear, delicate appearing broth - so much so that the consommé was the funnest thing to eat out of the whole pot! If you eat it without thinking hard - the whole is greater than the sum of the parts. I have eaten great consommé in restaurants before - and when I first tasted this I said to myself - "So THAT's how they do THAT!" Yep, of course. And a boiled dinner would qualify as well. There are so many variations out there, that's why we added the "Simmered Meat and Veg" subtitle. One of the neatest things was that with just hubby and I, we got three meals out of this pot. After the initial work on day one (about five hours, but mostly passive "walk through the kitchen and check the pot" kind of work) all the other meals take less than 10 minutes to prepare. Heat up the meat and veg in the broth, slice or toast some bread, kinds of things. Aioli and/or Dijon mustard goes super duper with simmered meat'n'veg for a French taste. Chinese First-press Soy Sauce (known as: 頭抽) is super packed with umami and is highly addictive. If you can't get this type of soy sauce, try mixing 2 tablespoons of Light Soy Sauce with 1/2 tablespoon of your stock/consommé, a pinch of brown sugar and several drops of sesame oil. If you want a South-Asian flavor, the Vietnamese fish sauce works too, but it may be a bit strong and overwhelm your meat. Add to 2 tbsp fish sauce and 1 tbsp lime juice; freshly chopped chillies (seeds removed), crushed garlic, freshly chopped coriander (optional), and a pinch of sugar. Oh my yes. We each had our individual bowls of consommé, and a side of chow-chow that I had canned during the Pickle Cookoff. I think the traditional is mustard, cornichons and bread. As well as salt and pepper, of course. Sorry for asking a silly question here, but it's the only way I know to learn. Did your consumme come from the broth? Is it the same thing? And what (if anything) did you do with the skimmings in the measuring cup? This looks good. I may have to dig out the oxtails I've been saving for a daube. Or maybe go buy some other meat. I'll bet I have some pot-au-feu recipes lurking in some of my books. I use the two terms interchangeably, that may not be the correct usage. I think consommé is a broth made with vegetables and meat. I think a stock is made with just meat? That can't be right. Hmmm. I am sure someone will chime in and clarify. Speaking of clarifications, I must admit I discarded the skimmage. It did seem like a waste of beef fat - but wasn't sure what it would be good for? I ran low on veg, so I diced some potato and tossed a couple of cabbage wedges in the consommé when I warmed it all up. A little minced garlic beneath the cheese on the toast. I really had to resist adding garlic to the pot - counterintuitive for me - but glad I didn't. I think it would have overcome some of the other flavors. Introducing garlic with the toast was a good way of doing that. I was PMd by John Talbott that there were a few questions about pot-au-feu here. I'll take care now of the ones already asked, sticking to the basics, and then fire on, you may ask more. so is it a defining characteristic of classic pot-au-feu that the meat is not browned before immersing it in liquid? Yes, absolutely. Browning the meat beforehand will give you something edible, of course, but it won't be pot-au-feu. The structure of the stock will be entirely different. However there are two methods: covering the meat with cold water and bringing to the boil, and plunging it in boiling water to start the cooking. The first method will give you a very tasty broth and slightly less tasty meat, and the second method will give you the reverse. What is usually done is covering the less delicate meats with cold water, bringing to the boil, skimming, then adding salt and the remaining meats, bringing back to the boil and skimming again. 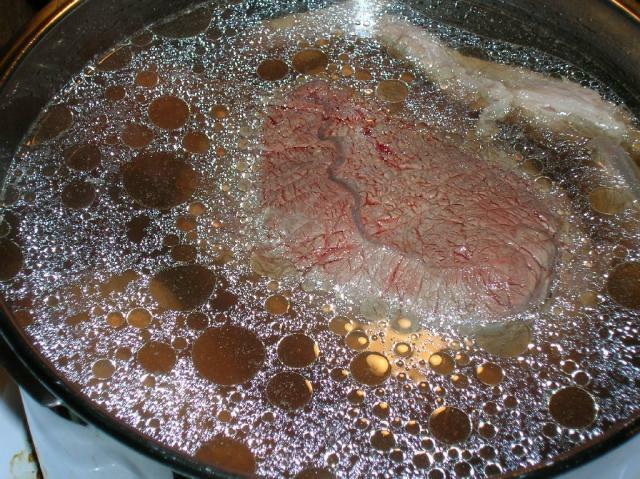 There is much less skimming involved when you add the meats to the boiling water. I am not such an adept of heavy skimming to I do it two or three times in the first stage of boiling, and just once after I've added the remaining meats. 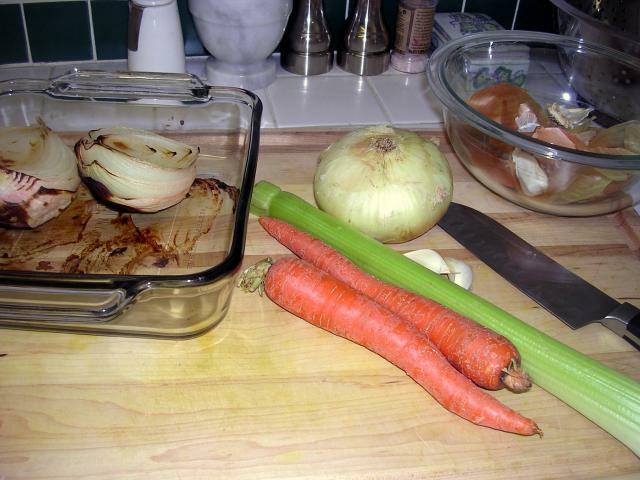 After that, the stock should just barely simmer for a couple of hours, after which I'll add the vegetables, in a definite order: carrots, turnips and root celery first; then the leeks (tied in a bundle) and more fragile vegetables. NEVER any potatoes in the stock because they spoil it. Potatoes should be boiled separately. An old trick to color and flavor the stock is to add a whole onion, oven-roasted with skin on, in the early stage of cooking. The onion will be discarded later. First, in poule au pot, the chicken is stuffed. That detail is specific of the dish. Second, there will usually be more leeks in the stock and a little cabbage, and no marrowbones. Cabbage is rarely used in pot-au-feu. Pot-au-feu, by the way, is only beef. Of course you may add a little veal shank but strictly speaking it is 100% beef. There should be three sorts of meats: fatty (i.e. short ribs), lean (i.e. chuck) and gelatinous (i.e. shin, jowl or oxtail). The ideal cut to include in a pot-au-feu is the carotte or galinette, a small elongated part of the shin that becomes spherical when cooked and is extremely gelatinous and tasty. 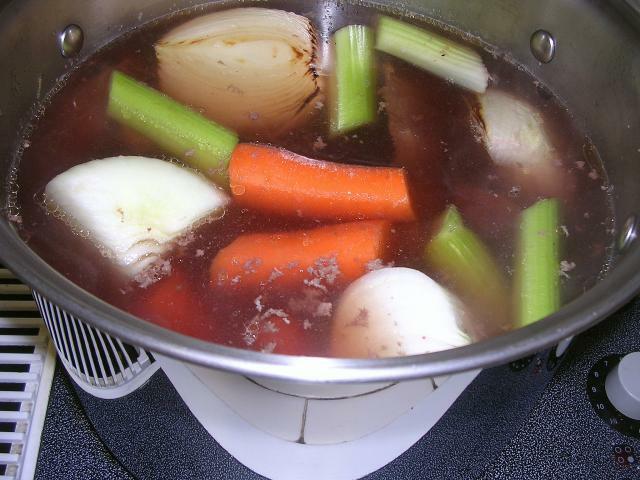 Any boiled dish of the pot-au-feu type that includes another type of meat becomes a "potée". There are also endless regional variations, like the very interesting Breton kig ha farz. In a traditional pot-au-feu, you will serve coarse sea salt, gherkins and strong Dijon or Meaux mustard to go along with it. Thanks so much ptpois for coming around! It is great to hear from someone who, I know, has probably prepared this dish more than I have - to say the least. Since you invited questions, I have a couple. Do you normally discard the blanching liquid as several recipes recommend? I feel bad when I do it, and perhaps the skimming it saves is worth it, but would you think I am dumping flavor down the drain? What is the chicken stuffed with in Poule au Pot? Is there absolutely ANY use for the skimmage and all that lovely fat? Is it normally utilized in the home and/or restaurant for any purpose? I feel bad dumping that as well. What is a Breton kig ha farz, and how does it differ? I am intrigued by your comment "structure of the stock" and wish to ask - Is the resulting stock actually the target of this dish? It seems to me, that it was the best part of what I ate out of the pot (well, I was quite fond of the turnip as well, but I am fond of turnips in general), and made anything that it came close to better. It was an amazing thing. Yes, the blanching liquid does not contain anything worth holding on to. 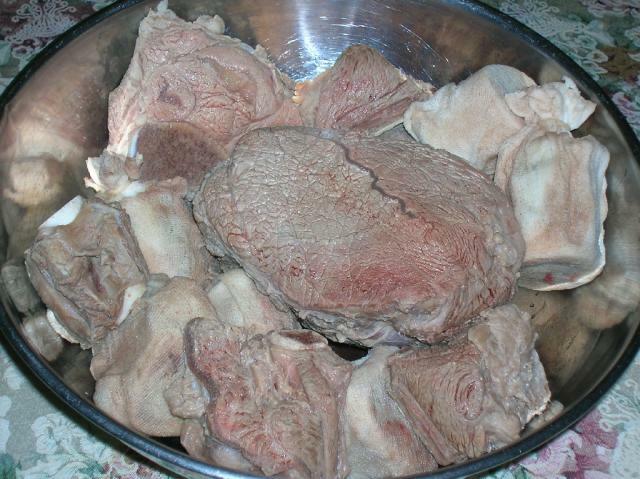 A little blood, impurities, and the flavor is extracted from the meat by longer boiling. I do not think you are dumping flavor down the drain. Generally a French-style stuffing: sausage meat mixed with bread (soaked in milk then drained), chopped onions, the fowl's liver (and sometimes a few more livers that your butcher usually gives you for free when you tell him you're going to make a poule au pot), and lots of mildly aromatic herbs like thyme, chives and marjoram. Plus an egg or two. The chicken is then sewn up so that no stuffing escapes, and trussed. What I described was the common stuffing. In Normandy they may use a more sophisticated stuffing made from chopped roasted onions, chives, chopped stale bread, butter and coarsely chopped chicken livers. Chestnuts or mushrooms may also be added to the stuffing. I would say it depends on how you skim. Judging from your recipe, I notice you skim regularly all throughout the cooking. Which means that your skimmage is, actually, broth. I'd certainly strain that through cheesecloth and use it like any beef broth. As for the fat, it is simply beef fat. And if you have any uses for that, by all means keep it. 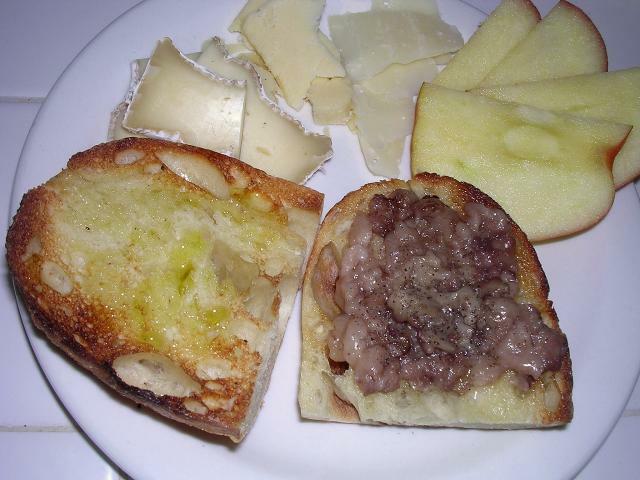 Beef fat is not commonly used in modern, urban France. 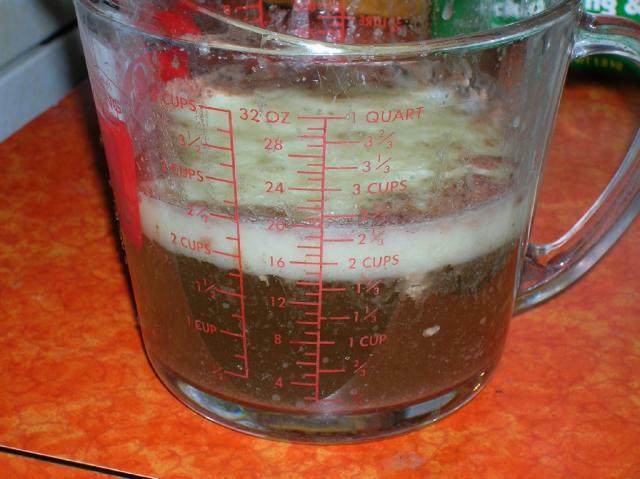 But I do know of a terrific Norman recipe for graisse normande (flavored beef fat). What you do is melt this fat and add finely chopped leek greens, carrot, parsnip, thyme, bay leaf, onion, black pepper, a little allspice and sea salt. Simmer this on low heat for a few hours until all moisture is gone. Strain, keep the fat refrigerated. Add to sauces, vegetables and soups just before serving. Breton kig ha farz is a terrific traditional dish from Northwestern Brittany (province of Léon). It is a potée (simmered meats and vegetables) which usually contains beef and pork (ham hocks, sausages, salted pork belly), carrots, parsnips, cabbage, turnips, leeks, root celery and potatoes. When the simmering begins, two different batters are made, which are called farz sac'h. There is the white farz (farz gwen - wheat flour, eggs, milk, raisins and chopped prunes) and the black farz (farz du - buckwheat flour, eggs, milk, raisins and prunes). Each batter is poured into a special bag (sac à farz) made of very close-textured white canvas and tied at the top. Both bags are dropped into the stock and simmered with the potée for a couple of hours. At the end of cooking, the meats and vegetables are served on a dish, the farz taken out of the bags and either sliced or crumbled, with a little broth poured on top. The whole thing is eaten with a sauce of chopped shallots slowly roasted in salted butter. Not exactly, but the stock is clearly an important part. Browning the meat will seal in the juices and result in the Maillard reaction (improperly referred to as "caramelizing"), which will flavor the stock not like a stock but rather like a jus. Through the simmering method used in pot-au-feu, flavor is extracted slowly from the meat and there is no Maillard reaction involved. I am not enough of a scientist to tell you more but stocks made from browned meats are very different from stocks made from non-browned meats. Long ago, pot-au-feu (also called "le bouilli", and the stock "le bouillon") was one of the most common dishes on French tables. Everyone, even the working classes in the 19th century, had access to it. It was prepared at least once a week, so every family had a good supply of stock handy. Pot-au-feu stock was, for a long time, a regular staple of French kitchens, as a base for soups, sauces and cooking vegetables. 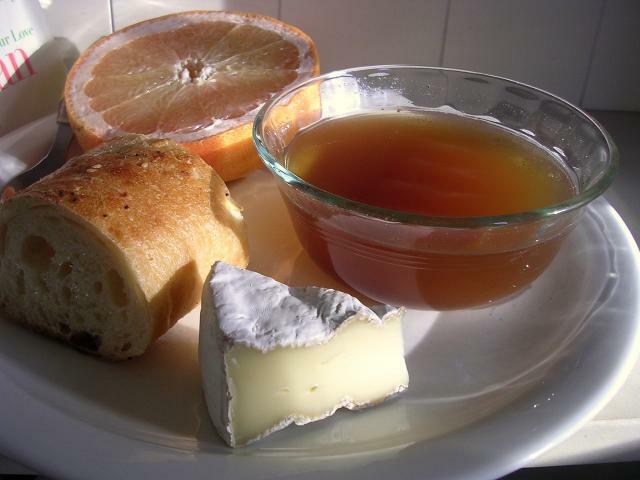 Pot-au-feu broth was considered a very important health food and was served at restaurants. Popular restaurants were called "bouillons", they were places were workers could be served cheap, nourishing, energetic food. Location:Brisbane, Queensland, Australia, where it is beautiful one day, perfect the next. I have not been very active around here lately - too many other things have been getting in the way. At Anne's urging, I am going to put in my historic two cents' worth here. I love these 'forever dishes'. A couple of mid-nineteenth century Frenchmen show that we have resisted altering the dish since then - although no-one so far has mentioned liver as a major ingredient. Pot-au-feu is a piece of beef, intended to be cooked in boiling water, slightly salted so as to extract all the soluble parts. 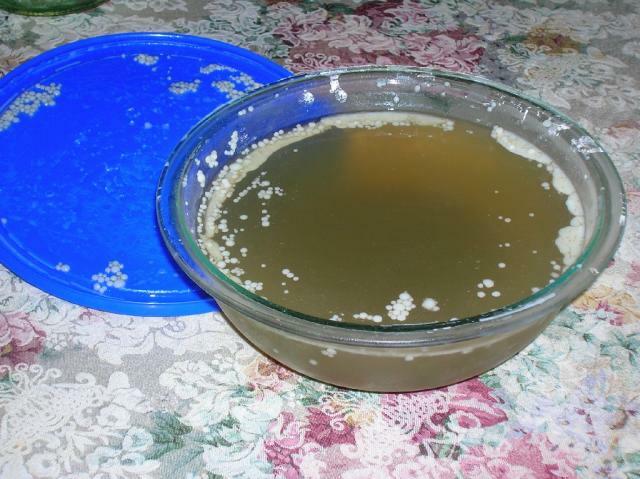 Bouillon is the fluid which remains after the operation. Bouilli is the flesh after it has undergone the operation. To have good bouillon, the water must be heated slowly, and the ebullition must be scarcely perceptible, so that the various particles necessarily dissolved, may unite ultimately and without trouble. It is the custom to add to bouillon, vegetable or roots, to enhance the taste, and bread or pates to make it more nourishing. Then it is what is called potage. All agree that no where is potage made so well as in France, and in my travels I have been able to confirm this assertion. Potage is the basis of French national diet, and the experience of centuries has perfected it. I cannot expect that this truly national sonp of France can be made to perfection, or done with so much care as in that country, therefore I have simplified it, and shall call it The French Cottage Pot au Feu, or French Soup. If this simple receipt is well attended to, you will find it a very good soup and bouilli. If you run short of any of the vegetables, make it good with others. 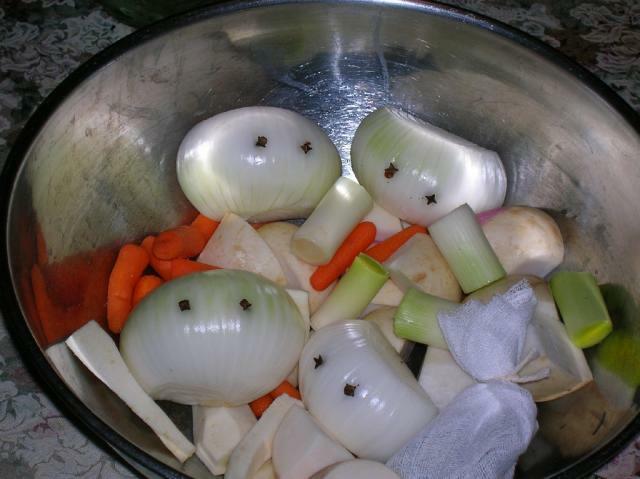 If no burnt onions or colouring, the soup will be white, instead of a sherry colour; but still it will be good. In France they always put in half a pound of ox-liver to every four pounds of meat. I am sure they are too good judges, over the water, to spoil their soup; in fact, there the ox-liver costs as much as the meat — sixpence per pound — therefore it is not with a view of saving but to make it better. Anne, I would love to join this party, If I may. I have been following this thread with interest, thinking "so, that's what I have been making all along!" I realy don't care for canned broth or cubed bouillon, so have allways made my own. After all the practice, I think I have gotten rather good at it, well, at least the end product is tasty and what I was looking for. I have tried several methods, from the blanching of the meat, browning in the oven first, searing, and dropping in hot water. I have noticed that each has it's purpose and serves well for the given outcome. This time, I wanted a bouillon and broth, I chose to go with a cold water start. Because of that, the meat will be blander, more tender and the meals resulting from it will need some assistance in the flavor department. O.K. by me, more to play with that way! 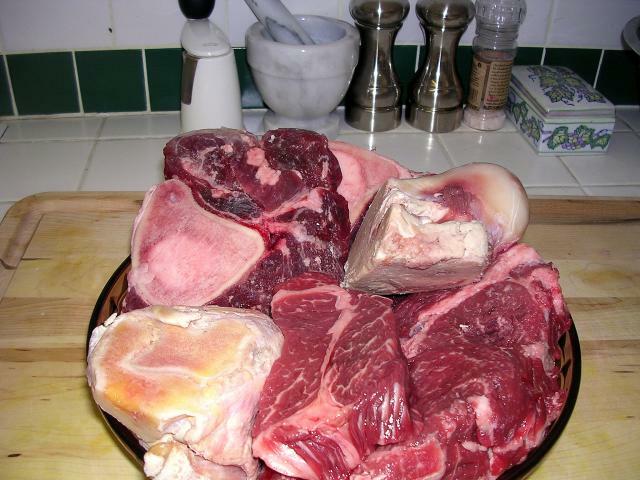 To start, like you said, a bowl fo cheap meat........chuck roast, chuck eye steak, (love the fatty beefyness of this cut) a couple of beef shanks, and several soup bones. Placed each in a pot of cold water to start, and brought slowly to a simmer. Yes, there is a LOT of skimming to be done, but I realy wanted the full beefy flavor that comes from the cold start. I next prepped the veggies, and after around an hour, tossed them in with the meat, along with a few herbs I enjoy wrapped in cheesecloth. Thyme, rosemary, a star anise, pepper corns and a couple of bay leaves. I like to brown one onion under the broiler to get the rich color and depth of taste. Simmered on very low heat for couple of hours more, and then removed the veggies. Continued to simmer for around two more hours, after romoving the soup bones, (I find that they give off a taste I don't care for after around 3 hours of cooking). The aftermath........Loads of skimmage, some great bones for the dogs, and a large plate of meat and veggies. well, maybe the second best..........the cooks special treat! 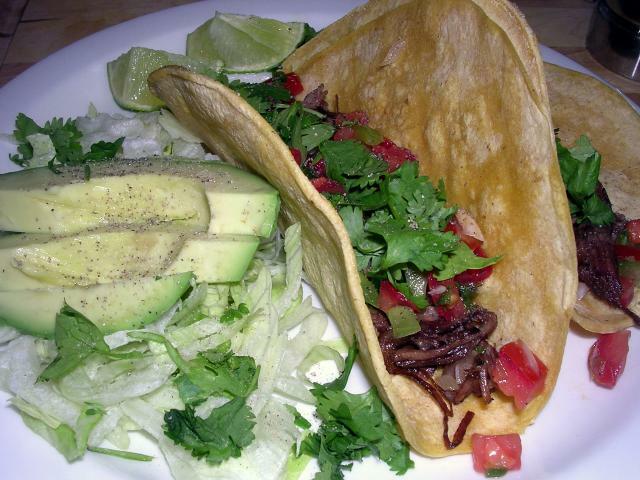 Dinner, using some of the meat, I made tacos. and Breakfast, a steaming bowl of broth. Thank you Anne for starting this cook-off, one of my faves. 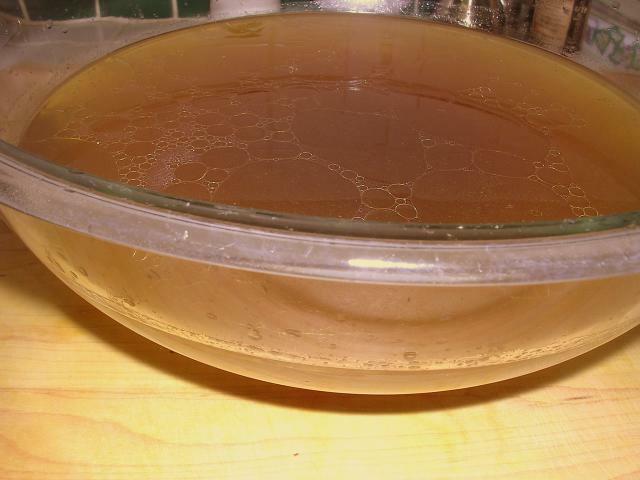 Would a quick blanch in boiling water, then start cooking in cold water work if stock is the primary goal? Yes, ajisan, that does work well enough, but I did notice a diminished flavor. But, that could have been any number of causes on that particular day. The skimming, for me, is realy no big deal, so I tend to stick to the most flavor enhancing formula that I have found.